Disclaimer: There is no alternative to real Mac, if you like Mac go and buy it. If buying a real Mac is too much, you can at least buy a license for Mac OS X Snow Leopard which costs $29 only. 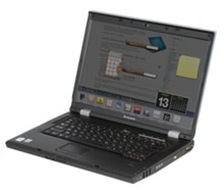 This post is to test the Snow Leopard compatibility with Lenovo 3000 N100. After some hard work I have successfully installed Snow Leopard on a Lenovo 3000 N100 (0768-BVG) model. There is an awesome post by Prasys on installing Snow Leopard on PC with details you must know before trying any Hackintosh installation. I have installed Snow Leopard retail(10.6.3) from my Hackintosh running 10.5.7. If you want to have dual/tri/quad booting patch your OSInstall.mpkg (Google is your friend) to install on MBR partition, else you have to repartition your drive as GUID with the default setup. Mount/Insert your Snow Leopard DVD and go to /Volumes/OSX86/System/Installation/Packages and double click OSInstall.mpkg file to install. All you have to do is select the partition you want to install. Select only “Essential System Software” (default) to install, you can install additional language and translation later. Installation will be done in somewhere between 30 minutes and an hour. 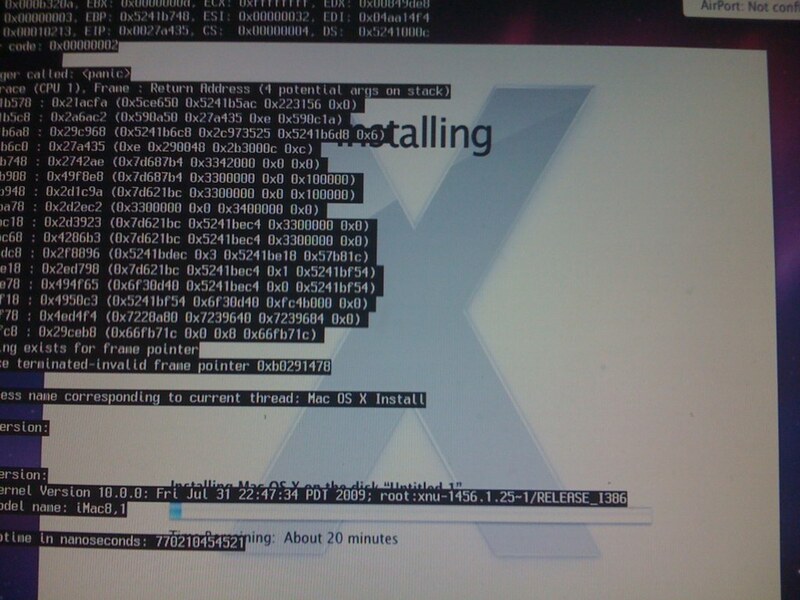 Boot with -v option always or update your com.apple.Boot.plist to have verbose boot as default. GUI boot is not good for any hackintosh build. You end up restarting after seeing spinner for longtime. Verbose mode print the status and you can reboot when you don’t see any activity for a minute or so. Install BSD.pkg from /Volumes/Mac OS X Install DVD/System/Installation/Packages to solve “_No Installer packages can be found for this disk_” whenever you want to verify permission and fix permission from Disk Utility. You need to run the BSD.pkg from recently installed Snow Leopard. No GUI after verbose log. 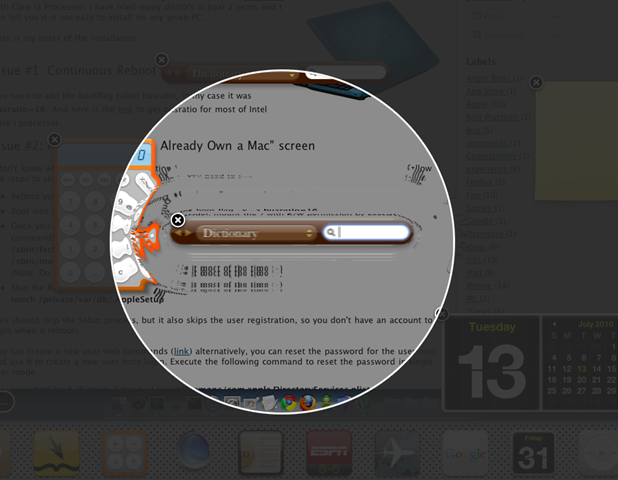 You may notice a cursor(mouse pointer) blink at the top left of the screen. Solution: All you have to do is install AppleIntelIntegratedFramebuffer.kext v1.4.20. The default Intel GMA950 kext works but you have to delete the default framebuffer kext with the one mentioned above in-order to work in normal mode. 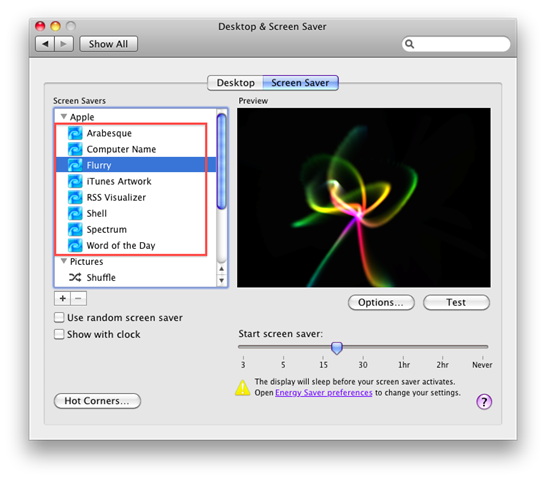 Command + Shift + 3 doesn’t create any screenshot/file on your desktop. You see this issue when QE/CI are not enabled. Solution: You need to replace the file mentioned in Issue#3. Check whether Quartz Extreme & Core Image (QE/CI) enabled? Once you install the above mentioned kext QE/CI should be enabled by default. You can verify the same by following. Though some reports RTL8139 supported natively with IONetworkingFamily.kext v1.9. My case was completely different it wasn’t detected in first place. But the hardware is working flawlessly with Leopard 10.5.7 w/ PCGenRTL8139Ethernet.kext and WinXP, Ubuntu natively. 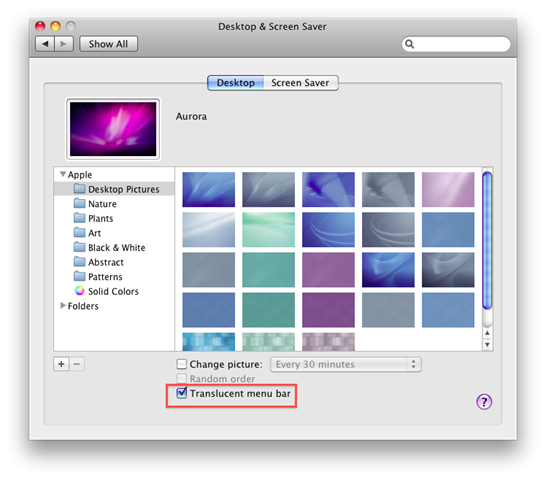 OSX seldom detects my Ethernet card. But failed to work after a reboot. Solution: Please find the solution here. P.S: If you have an iPhone (jail-broken one) then you can use your iPhone to access internet by an awesome PDAnet application. You can use your either phone’s 3G or your Wi-Fi.